The idea of starting a personal injury claim after your auto accident can be intimidating, especially if you’ve never been involved in a legal claim before. But sometimes it’s necessary so that you can get the compensation you’re owed when you’ve been hurt. Your lawyer can help you navigate through what can be a lengthy and complex process, but here’s a quick and easy overview so that you know what to expect during your claim. Once you and your attorney have decided that you have a valid claim to make, the first step usually begins with what’s called a demand package. This is where your lawyer compiles all of the facts and the evidence of your case into a comprehensive suite of documents that form the basis of your claim, including how much you and your lawyer have determined you are owed. The demand package is then submitted to the insurance company for review. After the demands package has been received, the insurance company may send a letter called a “reservation of rights.” This document protects the company by saying that while they will review your demands package, it is not entering into formal negotiations, as that may imply that the company is obligated to pay. Don’t be intimidated, though—it’s also often an attempt to get you to settle quickly and for less than the full amount you may be owed. After the demands package, the insurance company may send an initial settlement offer. This may be up to the amount that the policy covers, but also could be for much less. Receiving a settlement offer means that the negotiations process has formally begun. After speaking with your lawyer you may decide that the settlement offer is fair, and you can accept the settlement. If not, negotiations can go back and forth until you receive an acceptable offer, or you decide to file a lawsuit. If negotiations break down, the next step is to file a civil lawsuit. Sometimes a lawsuit is filed prior to or even during negotiations, to show that you’re serious about pursuing your claim should negotiations fail. Whether or not this is a necessary step is something to discuss with your attorney. It may also become necessary to file a lawsuit if the statute of limitations deadline is approaching. Many attorneys may not even agree to take a case that’s too close to the filing deadline, so it’s almost always better to begin your claims process as soon as possible, rather than waiting until the last minute. When the lawsuit is filed, there are two key pieces of paperwork. 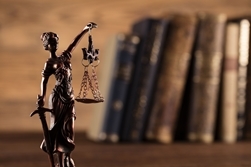 The complaint states the reason for the lawsuit, and the summons notifies any defendants that there is a civil case being made against them and that they need to appear in court on a certain date. In California, a process called mediation is often ordered by the court, especially in personal injury claims. An impartial mediator will help the two sides negotiate together to reach a mutually agreeable settlement. If mediation is successful, the lawsuit will be dropped and the insurance company will pay as agreed upon. Should court-ordered mediation fail, the next step is to proceed to a trial by jury. This is the classic court scenario in which both parties (and/or their representatives) appear in the courtroom in front of a judge and twelve jurors. The jury will look at the evidence, listen to arguments from both sides, and ultimately make a decision on whether compensation is awarded at all, and if so, how much is due. Finally, in certain circumstances the losing party may file an appeal, in which a higher court is asked to reconsider the decision. The time limit to file an appeal is typically only thirty days, so if you’re thinking about it, be sure to discuss the possibility with your lawyer sooner rather than later. While no attorney can guarantee the outcome of a trial, having an experienced legal professional by your side every step of the way can improve your chances of convincing the insurance company, or the jury, that you are owed compensation. Steinberg Injury Lawyers has been handling accident and injury cases since 1984. We have the experience that you need to navigate the claims process, and we will fight for your right to fair compensation. Call us anytime for a free case evaluation at 800-989-6385.
Who Is Responsible for Medical Bills After Your Auto Accident?